It was 1810 , the time of the birth of our nation and also of course our political life . War also arrived followed by cruelty and treason and behind them came poverty and hopelesness . 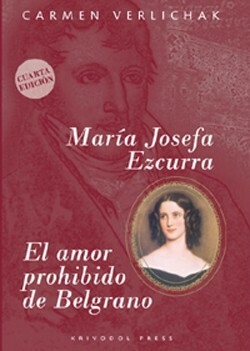 It was at this time in the city of Buenos Aires that Belgrano and Maria Josefa Ezcurra met . This excelent novel by CV is a classic as far as Manuel Belgrano is concerned. She has woven a plot in which tragic love affairs, war, politics and even the suspicion of a crime amongst cousins make a fascinating story . Once again history and a novel have come together with an excellent outcome . A book to be enjoyed. Bila je godina 1810. I rađala se domovina... a s njom i politika. Došao je i rat sa svojom strašnom pratnjom: sprijeda su išle okrutnost, nadmoć i izdaja; straga su se nizali siroćad, bijeda i beznađe. U to su se vrijeme u Santa Mariji Buenos Airesu susreli Manuel Belgrano i Maria Josefa Ezcurra. 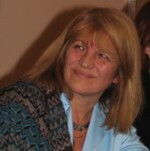 Izvrsni roman Carmen Vrljicak Verlichak već se ustalio kao klasično djelo u književnosti posvećenoj Belgranu. Spriječene ljubavi, tajnovite nagodbe, rat, politički rizik, zavisti, čak i sumnja u zločin među rođacima, o čemu je uspomenu sačuvala samo cisterna kuće Ezcurra, to su labavi konci od kojih je autorica stvorila čvrstu romanesknu potku, napetu i strastvenu, s velikom pripovjednom snagom i obilnim bogatstvom ljudskih otkrića. S Marijom Josefom još jedanput su se rukovali roman i povijest, s visoko pozitivnim ishodom. Proslavimo to. Interview vith Carmen Vrljicak Verlichak, autor of "María Josefa Ezcurra, el amor prohibido de Belgrano" in Buenos Aires, Argentina. Caroline Couper: Bartolomé de Vedia, highly respected editorial writer and critic of La Nación described your book as an excellent historical novel. Is it, therefore, genuine history? Carmen Verlichak: Manuel Belgrano is said to be the greatest hero of Argentine history together with José de San Martín. Belgrano was an outstanding journalist, essayist, economist, educator and simultaneously he was asked to lead the war of independence from Spain as general, since 1812. Caroline Couper: And his private life was spicy. Carmen Verlichak: He had passioned love affaire and tragic ones. C. Couper: History is very complicated and so often history repeated itself& with a bit of make up or vithout it. 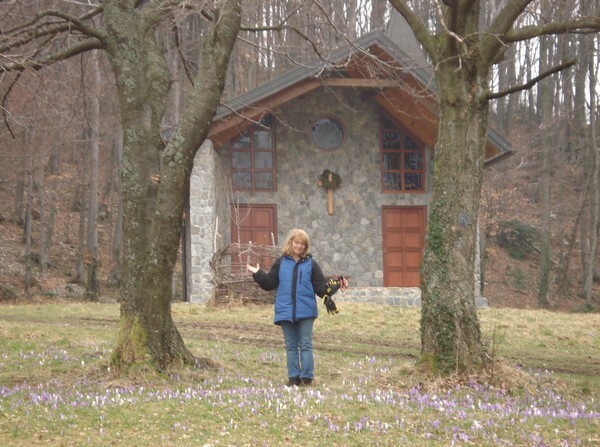 C. Verlichak: I wrote this novel in Croatia, in the fascinanting Maksimir, in Zagreb. Show was falling while I was writing in cozy little bars. It was there that the ecos of Milosevic's ethnic cleansing came to me again and again. And this inspired me to write about "exodo jujeńo" (exodus from Jujuy) ordered by Belgrano; a chapter of Argentine history wich was as tragic and devastating as all exodus. C. Couper: Your attitude is definitively against wars. C. Verlichak: I always remember what said the first Nobel peace prize winner, Berta de Suttner: "The aftermarth of battle is worst of the battle itself". And this goes for wars also. Especially when we see how politicians traded with the blood of those who died for their homeland. Does this sound familiar? That's why I insist history repeats itself. C. Couper: It would appear that the subject of war and exodus and migrations interest you. Which reminds me of a very succesful LOS CROATAS DE LA ARGENTINA also on this subject. C. Verlichak: Migrations and exodus often happen as the result of wars. Croatian events in Argentina 2013: Buenos Aires Celebra Croacia, Klapa Kastav, Chaco, etc.